Today my work took part in the World's Biggest Coffee Morning for Macmillan Cancer Support, which called for cakes, cakes and more cakes. So, as it's been a little while since I made cupcakes, I decided to make chocolate cupcakes with an orange curd filling and salted caramel buttercream. 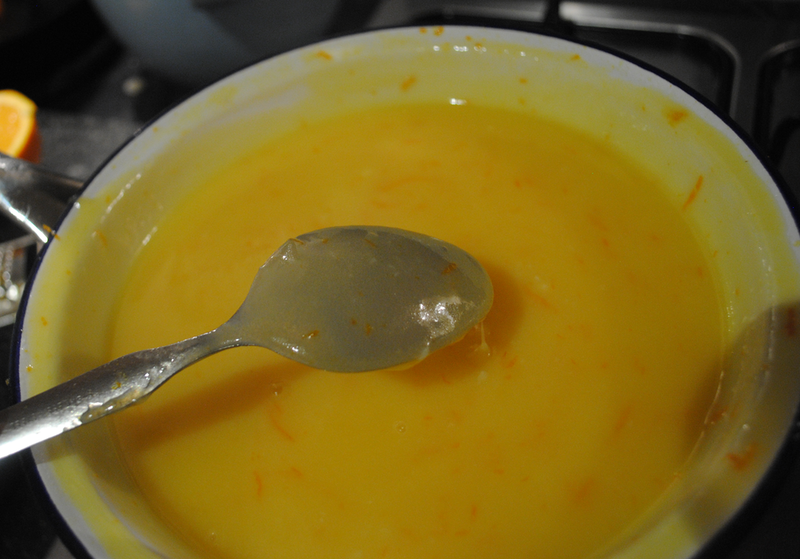 I started by making the orange curd since it would need a little more time to cool and set. I used the BBC lemon curd recipe for this, but replaced the lemony elements with the zest of three oranges and then the juice of two and a half of these (popping the last half to one side). Curds are easy enough to make, provided you're patient whilst it's cooking. I recommend using the lowest heat possible with them and constantly stirring to avoid the dreaded scrambled eggs forming at the bottom of the dish. After about ten minutes the mix thickens up, and you can tell it's done once it easily coats the back of a spoon. Once cooled, I sieved the mix (to remove the zest) and added the juice of the remaining orange half (just for an extra orangey kick), before putting the final product aside for a day to set. Last night I made the main element by using the Hummingbird Bakery chocolate cupcake recipe. I started by beating 40g unsalted butter with 140g caster sugar until pale and fluffy, and then added an egg and continued to beat until thoroughly mixed. I sifted 100g flour, 20g cocoa, one and a half teaspoons of baking powder and a pinch of salt into one bowl, mixed 120ml whole milk with a few drops of vanilla extract in another, and then added a little of each mix at a time to the butter/sugar combo. When the dry ingredients were just combined, they were ready to be baked for 20 minutes at Gas Mark 3. Once the cupcakes were baked and cooled entirely, I cut out the middle section of each and added a dollop of the orange curd. I then replaced the top of the cake (with a little of the sponge removed to make room for the curd). Now to the buttercream. 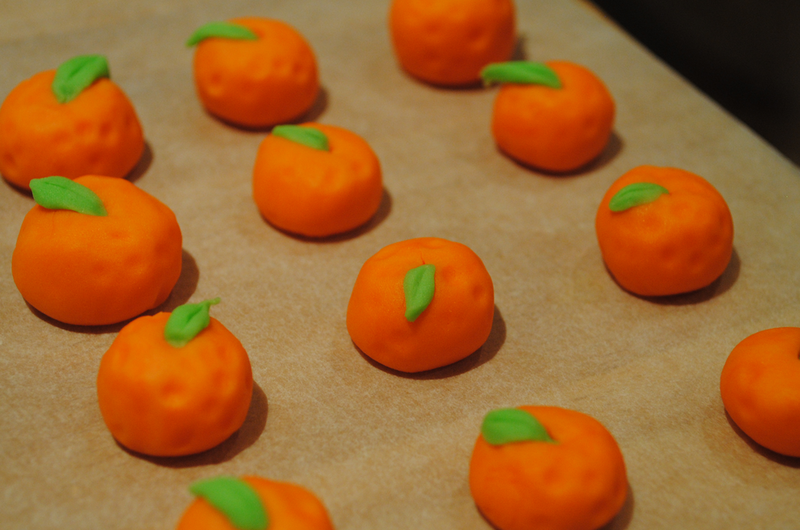 Lots of salted caramel buttercreams make the buttercream taste entirely like salted caramel, which is nice but not what I wanted for these little chaps. Instead, I decided to make a vanilla buttercream but then drizzle it with a salted caramel sauce, meaning the salty caramel sauce would pack a punch against the buttery vanilla icing. For the sauce, I followed the Brown Eyed Baker's recipe and heated 200g of granulated sugar until it was entirely melted. Once the sugar hit 160°C (big shout out to my sugar thermometer), I added 110g of butter and whisked the bubbling mix until the butter melted. I then added 120ml of double cream and a teaspoon of ground sea salt after taking the pan off the heat. The buttercream was a simpler job and just required 250g icing sugar, 80g unsalted butter, a little vanilla and 25ml milk to be beaten until thick and creamy, before piping onto the cupcakes. 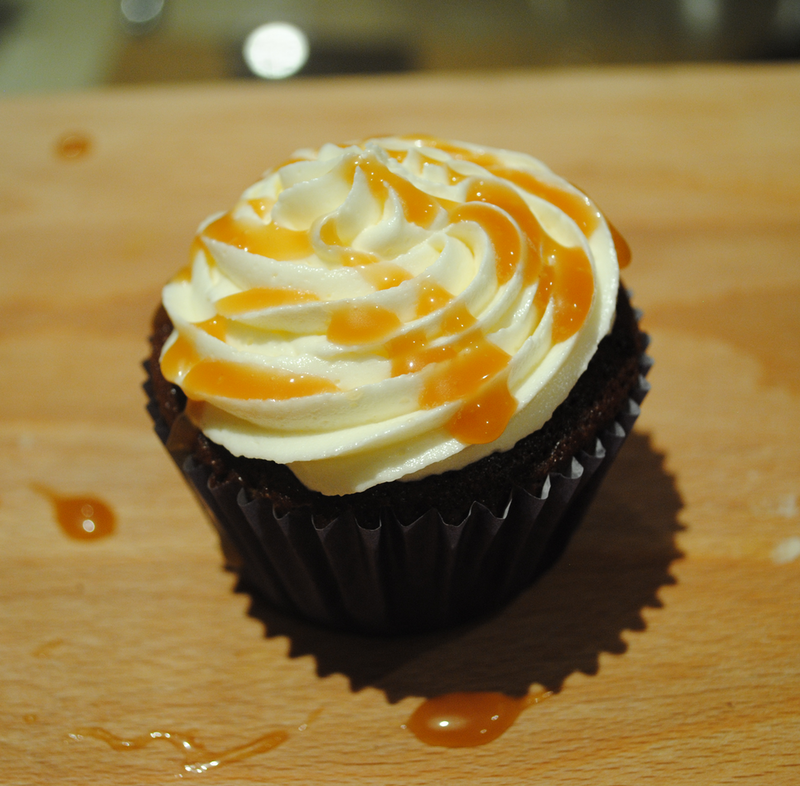 Once the salted caramel had cooled, I poured it into a piping bag and splashed it about all over the shop. Mainly on the cupcakes, but the table, cooling rack and my iPhone saw their fair share of it too. And here's the finished result! I should add, the cupcake was on a glass table and was not defying gravity (sadly). Let's hope they taste that light though!